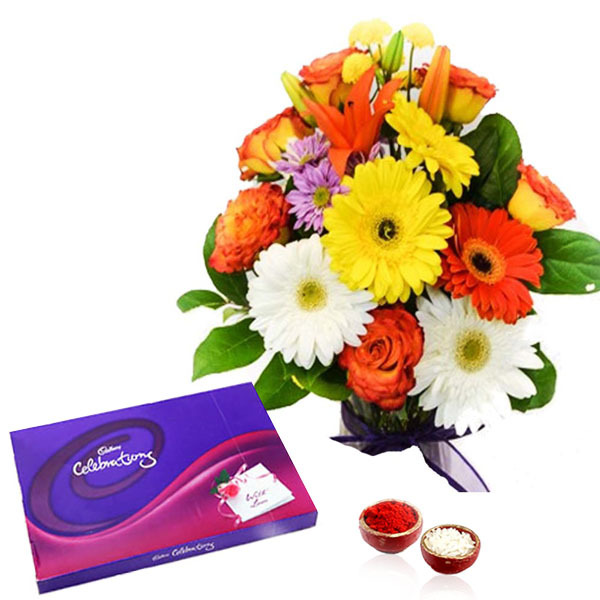 Product Consists : Hand Bouquet of 15 Mix Flowers, Cadbury Celebration Chocolate Pack (Weight : 140 Gms) along with Free Roli Chawal. 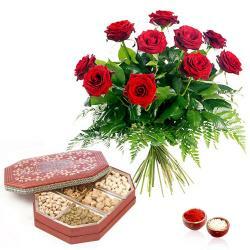 This Bhai Dooj strengthen your bond more than ever and bring joy and prosperity with this Hamper. 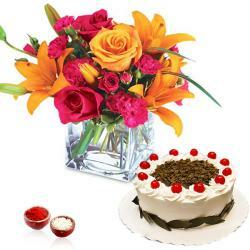 A Very special way to convey your Best wishes for Bhai Dooj to Your Darling Bhai. To all Brothers on this Bhaidooj this combo will wish to say that you are the best brother and you always mean to your sister the whole world. 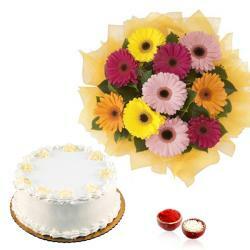 We handpicked and put together a classy gift hamper to your dear ones on special occasion. It is a Celebration of lovely relation of a brother and a sister. 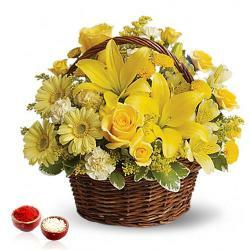 Send your warm wishes with this lovely hamper. Product Consists : Hand Bouquet of 15 Mix Flowers, Cadbury Celebration Chocolate Pack (Weight : 140 Gms) and Free Roli Chawal.